i've said it before and now would seem like the ideal opportunity to say it again: our velocipedinal world must surely be the best served when it comes to technical apparel. likely only the outdoor market can vye with cycling for continued development of fabrics, and i believe there's a certain amount of crossover between the two genres. i'm no expert, but i'd be surprised if those who supply the world's soccer teams spend every waking hour in the wind tunnel determining the ideal shape for next season's goal-fest. and not only are we well provided for in the technical department, but it would be a foolhardy person who complained about a lack of choice. i do not propose to list each and every cycle clothing supplier at this juncture, but i think we all know who the big players are in this plentiful market. a situation such as this, you would think, might make the smaller entrepreneurs have second thoughts about entering an almost saturated situation; the more technical the arena becomes, the more expensive research and development becomes. forward looking conjecture would lean heavily on the future of road-racing being more and more defined by aerodynamics. and while it's eminently possible to make those initial steps by means of computer modelling, ultimately, you have to be looking at testing the real thing in somebody's wind tunnel. and that's where it becomes often prohibitively expensive. so you do rather wonder how the smaller suppliers compete. 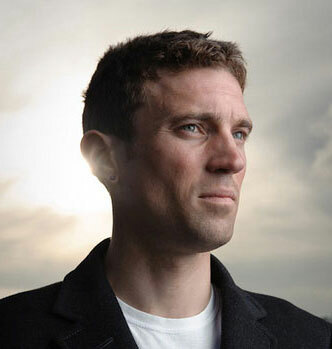 yanto barker, the pushing force behind le col cycle clothing originally announced his retirement from competitive cycle racing in 2007, returing from the continent to live in devon. 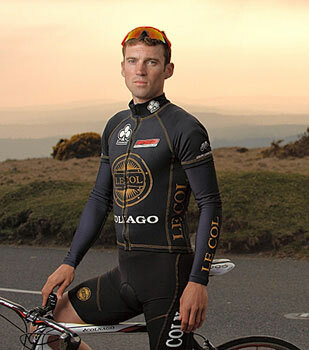 however, having started up le col in the intervening period, he returned in 2010 to ride for pendragon sports/le col/colnago, partly as a resurgent career and partly to promote his new cycle apparel in the competitive milieu. however, it seems that this second career has not only been successful, but rather convincingly long-lived. can we assume that there's now more to it than simple product promotion? "In short, yes. I think its called 'obsessive compulsive'. I love exercising and I'm enjoying many aspects of my career, more recently being part of a team as a senior member and imparting some of my experience to the younger and fresher guys. Helping them fulfil their potential is a big motivation for me. I love being in a team. I find it exciting interesting and rewarding." 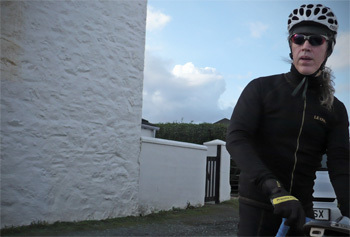 since moving on from the pendragon le col team of 2010, yanto has ridden for several different teams, one of the iniquities or benefits (depending on your point of view) of which can be having to not only ride the bicycles provided, but team clothing, an item which frequently was not le col. does this situation ever grate slightly when yanto has to wear a competitor's product, such as last year with raleigh? "In answer to the question, yes, but perhaps not for the reasons you would think. 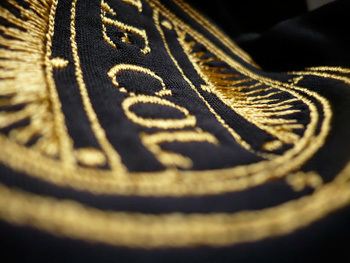 What makes Le Col excellent in my opinion, is an unrelenting desire to improve it and an unwillingness to accept anything less than excellence. I would be frustrated with anything that I thought was substandard, and for that reason alone. I'd find that irritating, but not because it was another brand." and that extended career that threatens to rival the original period of racing. in how many more seasons does he plan on participating? 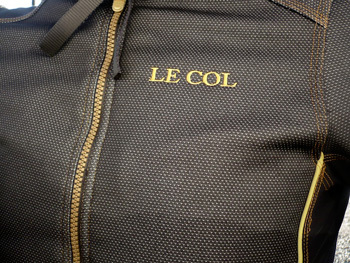 le col has become one of those little guys that manages to punch well above its weight, a fact that owes pretty much everything to yanto barker. despite possessing only a fraction of the budget of the so-called 'big boys', he has stoicly resisted any desire to 'pile 'em high and sell 'em low.' 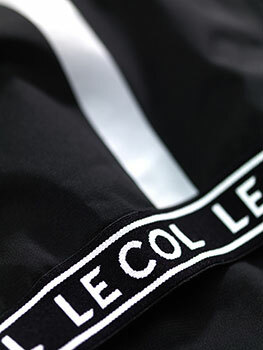 whatever else le col might have in its favour, based on personal experience, quality and attention are most definitely front and centre. in the five years of its existence, has le col become more successful than yanto had expected, or are things running pretty much to plan? "Well, I am supremely ambitious so I would always say it's well behind where I want it to be, or more importantly where I think it could be. I use that to keep driving on. Quietly on special days, I allow myself a little contemplation to see where we came from and how far a young Welsh lad growing up in Devon with zero qualifications, no experience in fashion, manufacturing, retail, brand, marketing or pretty much anything commercial, has managed to get. Where Le Col is right now, is more testament to pure determination as opposed to skill. "There is a long way to go yet though!" it may seem a tad iniquitous to continue harping on about le col being one of the smaller players on the parcours. that is perhaps more evident to those of us on the outside looking in, than for those in the thick of it. however, looking at the bigger picture, does yanto ever find it difficult to keep up with his larger competitors? "That's a good question and most people would probably think it to be true. But what we lack in marketing budget, can be made up for with ideas. To come up with a wealth of good ideas can ultimately allow you to compete with the big boys, and even win. Essentially every piece of kit we sell is a victory over the bigger brands, because we're still so comparatively small. In this respect, we're winning all the time! "That proves it can be done. Now we just need to keep doing more and doing it better. That in itself, is a never ending challenge, but being a competitive athlete, it's one i thoroughly enjoy." though we'd perhaps like to think of ourselves as one nation under a groove, scratch the surface a smidgeon and underneath you'll find a number of both compatible and incompatible components. many amateur cyclists are happy to dip in and out of the various disciplines; many roadies own a mountain bike, though perhaps fewer offroaders have skinny wheels and bendy bars in the shed. at the sharp end of things, however, things are, while not divisive, possibly a bit more sepcialised. thus, while several clothing manufacturers do offer both road and mtb ranges, they tend to be classified in separate parts of the catalogue. currently, le col has both cleats firmly on the road side of things, but are there any plans to take a look at the offroad market? "Yes. And all sorts of other products, but all in good time. Better that we take our time get it right, than rush along having to go back and correct decisions at a later date. That would be expensive and we can't afford to make mistakes." 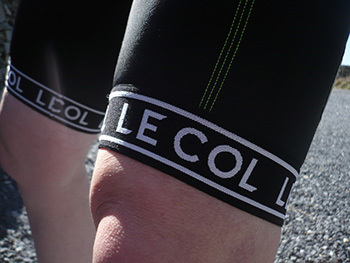 harking back to yanto's earlier contention that le col has a smaller marketing budget, and perhaps by inference, research and development pennies than at least some of their competitors, is the latter section of the business solely in the hands of yanto himself, or is there a whole host of boffins in lycra scurrying in the background? "Nowadays there are quite a few people who contribute to what you see being produced from Le col. One of the main means of technical input is a whole team of riders looking to be the best they can, always offering helpful and constructive feedback. plus we now have a marketing department with both visual and aesthetic input to the product you see on our website and in cycle shops. It's not that I'm on an ego trip. I'm not responsible for designing everything and I'm always happy to include good ideas offered by others where it makes sense." though the washingmachinepost may not quite have taken on the mantle of seasonal predictability, there's no denying that many of the major publications run to an annual timetable. come summer, we'll be reading tips on completing your first century ride or sportive. around christmas there will be plenty of advice on training camps abroad and slip back a month or two, there will be night light group tests. 'tis the way of the velocipedinal world. apparel suppliers have their own timetables to which it has become necessary to adhere, along with a need to be at least a year ahead of the curve. as this interview progresses, it's more than likely yanto barker is alsready concerning himself with the products we'll be wearing towards the end of 2016. however, has he managed to avoid the annual spring/summer, autumn/winter release schedule, or is that something in which le col is happy to participate? 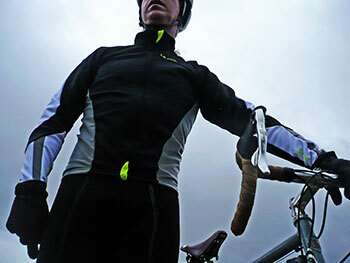 "Pretty much every company in cycling has to adhere to these buying periods. So much of the industry is set up around them. It's not just product release; there are trade and public shows, fairs, and other meetings that are all made possible to coincide with those schedules." the element of surprise for an eager public is every bit as important as maintaining the same stance with deference to one's competitors. it's a fairly open secret that everybody buys everybody else's product just to keep tabs on the marketplace. let those secrets slip too early and there's always the possibility of being usurped by release date. bearing that in mind and recognising it's a cheeky question anyway, are there any interesting future le col developments he'd be willing to share? "Lots of developments but none I would be able to speak about in detail. Lets just say there will always be both visual and technical developments"
yanto has assured me that when these arrive on the market, you'll be able to read about them here.